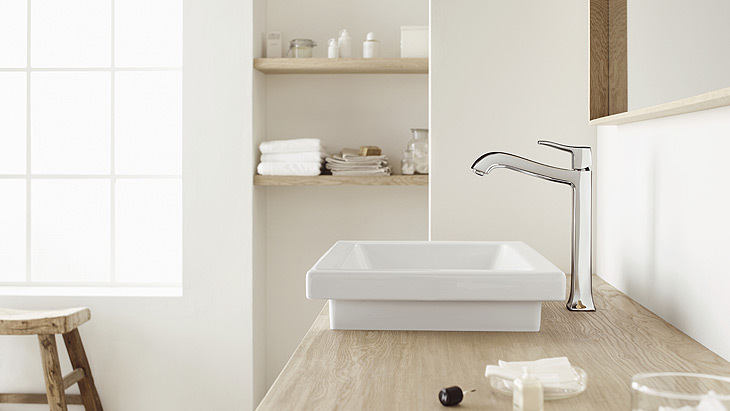 The handle and spout of the Metris Classic faucet collection from Hansgrohe have elegant and modern curves bringing a simple sophistication to the brand. Thanks to their elegant design, these faucets emanate the luxury of days gone by. With Metris Classic, you can offer your customers a generous ComfortZone. As a plus for the environment, the EcoRight water-saving and energy-saving technology is automatically integrated in Metris Classic. What makes Metris Classic into a modern bathroom classic? Here you can find subtle and elegant faucets for the vanity, shower, bathtub and bidet. This collection includes lavatory faucets in various heights for a range of customer requirements, bathtub and shower faucets for surface-mounted and concealed installation are also available.